Do you have the right protocols in place to avoid fines and inspections? OSHA is becoming more aggressive in setting and enforcing new safety and health requirements. And not to say that you, craft brewer, are negligent or running an unhealthy operation, but everyone needs a refresher from time to time — especially with so many breweries being new businesses. We reached out to Gabriel Sierra, managing director of Prometrix Safety Consulting, to discuss this enhanced enforcement and some of the most common violations he sees. The Q&A below is just a taste of the info he will be providing at the Craft Brewers Conference in Philadelphia on May 4 at 2:40 p.m. in room 113 ABC. CBB: How is OSHA becoming more aggressive in setting and enforcing new safety and health requirements? Sierra: Over the past six or so years OSHA has significantly increased its aggressiveness in setting and enforcing workplace safety and health requirements on employers. For example, several years ago, OSHA instituted the Severe Violator Enforcement Program (SVEP) which acts as its official “bad actor list” and has already placed approximately 700 employers into this aggressive program which results in significantly more oversight from the agency. Also, OSHA is expected to increase its penalty limits by 80 percent later this year, which will catch many employers by surprise. In what will be a surprise to some employers, the Department of Justice and OSHA have established a collaborative agreement whereby extreme enforcement cases — particularly those involving a fatality — may be more rigorously pursued by DOJ for criminal prosecution. The only reasonably foreseeable scenario I can envision in terms of its impact on the brewing industry, however, is if there is an egregious fatality case such as an employee succumbing to carbon dioxide exposure from improperly entering such a confined space. Nevertheless, these do highlight the more aggressive enforcement posture that the agency has taken in recent years. In terms of setting new requirements, new Hazard Communications were instituted a couple years ago which are mostly now in effect. These include the harmonization of warning labels and pictograms as well as more informative safety data sheets. Last year, OSHA finalized a new injury reporting regulation that mandates employers to report all fatalities, hospitalizations, amputations and loss-of-eye injuries within short specified time frames. Of these 10,000 to 12,000 reported cases last year, an estimated 40 percent are resulting in an inspection. The agency is expected to soon issue a new requirement which greatly expands the number of employers who must report their OSHA log data to the Labor Department and is further suspected of modifying how the agency handles employee complaints and possibly even employer incentive programs. 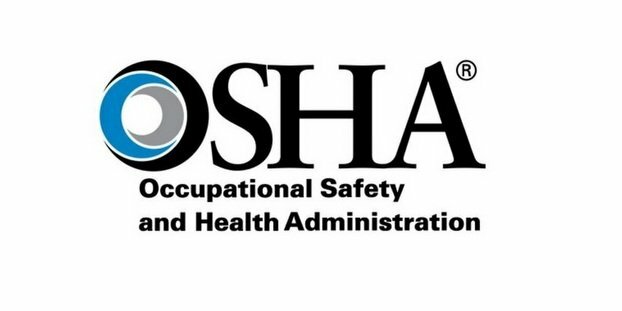 Lastly, OSHA has promoted its statutory authority for protecting employees from retaliation when they report a safety concern or incident to their employer. This has resulted in almost 300 percent increase in the number of employees across the country requesting that their site be inspected by OSHA because of a particular hazard. The bottom line is that over the past seven or so years, OSHA has become significantly more aggressive in setting and enforcement safety requirements. CBB: What are a few of the most common violations cited during brewery inspections? Sierra: It’s important to note there are really two ways at looking at the OSHA violation risks in a brewery. First is by what are the most commonly cited violations and the other is by which violations yield the highest penalty amounts. It’s a subtle but important distinction since one looks at the likelihood of a cited violation while the other gets at the severity of the hazard. To understand the risk, it’s important to look at both sets of data. That said, some of the most frequently cited issues in brewery inspections deal with Lockout/Tagout, Confined Spaces, Forklifts, Electrical, Safety Showers and Hazard Communication. In terms of penalty severity, Confined Spaces and Lockout/Tagout will be at the top of the list of concerns that most compliance officers will be focused on in a brewery. The greater the severity of a potential injury, the more motivated a compliance officer will be to propose a higher penalty amount. There was one case where the brewer was cited for not having employees lock out the rake prior to entering a tank in the brewhouse. That’s a situation, in the compliance officer’s mind, that raises two significant concerns in one hazardous scenario: moving parts in a confined space. These types of violations will typically be in the higher end of the penalty limit allowed, in most cases $7,000. Conversely, I have also seen brewers receive nominal penalties, less than about $200 to $300, for not having documented that respirators are not required in the work areas despite providing dust masks to its employees for optional use. CBB: Can you provide a specific example of a violation and enforcement you’ve seen in the field? Sierra: The easiest violations for compliance officers are for violations where a written program and/or employee training is required. Some examples of this include Lockout/Tagout, Confined Space and Hazard Communication. The inspector knows that these are issues in the brewing industry and may ask to see the programs or documents that demonstrate training is being conducted. Quite often, the inspector will follow that up by subtly ‘quizzing’ employees as they interview them to help determine if the training is effective. If the compliance officer sees a disconnect between documented evidence of training and a wide spread lack of knowledge by employees, they will likely issue a citation. Many inspectors consider that to be low hanging fruit. We have worked with enough brewers now that we’ve established a pretty effective way to assess their risk and provide the safety programs and training modules to help them reduce the likelihood and severity of a potential citation. We are proud of our record in that no client, in any industry, has ever received a citation after implementing practical and cost-effective approaches that we recommend. Despite commonly held perceptions, keep in mind that most compliance officers would much rather spend their time looking for recalcitrant employers than having to spend a lot of time in one workplace looking for a minor violation. If the brewery projects the image of compliance by having a clean and orderly workplace as well as having implemented the needed programs and training, the chances of receiving significant penalties is greatly reduced. CBB: What are some key takeaways breweries will gain by attending your panel? Sierra: The session will get into OSHA’s new injury and illness recordkeeping and reporting requirements. These are increasingly important to understand because how a brewer handles these issues can meaningfully increase the chances of being inspected in the first place. Virtually without exception, our experience with brewers is that they are actually over-recording their injuries and illnesses which may ultimately — and unnecessarily — draw enforcement attention from OSHA. Developing a better understanding of what is and is not a recordable, lost-time injury, etc., will be helpful for ensuring that OSHA doesn’t incorrectly presume that the brewery is an unsafe workplace. Our objective is to provide the attendees with some practical tips and information that they will be able to use in their breweries in order to help reduce the likelihood and severity of employee injuries as well as being targeted for an OSHA inspections. Safety is a journey of progressive improvements so brewers should not feel overwhelmed by a feeling that the task of achieving safety compliance is insurmountable. Focus on identifying and addressing the higher priority risks first which will be addressed in this session.